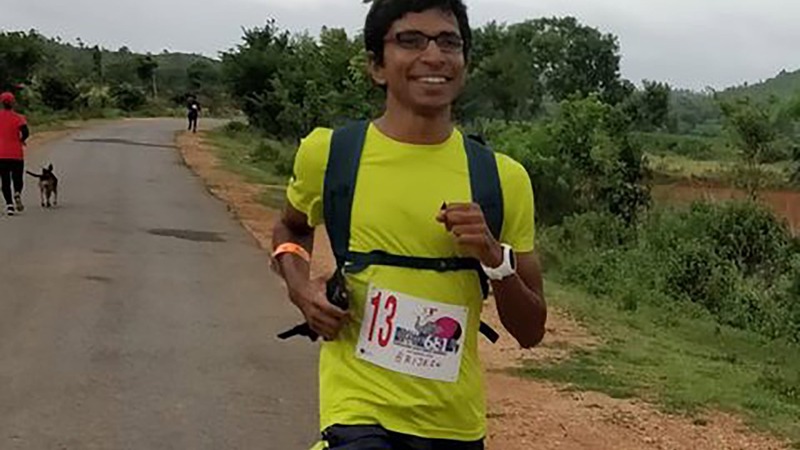 Brijesh Gajera talks about how he handles race day hydration, one of the most important aspects of running the healthy way. Have you ever felt your body and mind losing energy during the course of a marathon? Ever felt yourself melting drop by drop in your own sweat as you continue to push every step of the way or the water being sucked out of your body? Ask any seasoned runner and they will tell you that over-hydration or lack of it can make or break your marathon performance. I have had first-hand experience with one of my trainees. He was participating in a 10K race and the weather was unusually hot that day. He was a newbie to running and was not used to hydration while running. To top that, he started the race with a rather aggressive target. A little after the 6K mark, he started feeling disoriented which ideally should have set off a warning sign for him, instead, he chose to ignore the signs and with the intent of achieving his target, he pushed on. A couple of kilometers down the road, he started wobbling. A fellow runner noticed this and saved him from falling to the ground. I happened to be there cheering runners and recognizing him for a distance, I noticed his discomfort and ran towards him. By the time I got there, he was almost unconscious – we instantly took him to the mobile ambulance on site and once he was administered IV drips, he felt a lot better. The doctor confirmed that it was a case of dehydration and that he was lucky to get timely intervention. Imagine if we could store water somewhere in our bodies and not worry about it as we knock off mile after mile, right? Unfortunately, that is not possible but instead, we have the ability to continue performing in a moderately dehydrated state before the need to hydrate arises. So how exactly should you hydrate in a long-distance race? In general, I am quite wary of giving a definite number or quantity as everyone’s bodily demands and reactions are somewhat unique. So, I would rather use Coleridge’s epic poem to help you decide for yourself. Imagine you are surrounded by a limitless expanse of water. Unlike Coleridge’s mariner which was treading the salty waters of an ocean, here you have access to fresh sweet water. How will you drink water then? It is a no-brainer! You will drink it when you feel mildly thirsty or drink regularly like you would on a normal day. You will not wait for the moment when you are dying of thirst or drink too much water and feel bloated. It is almost the same while running a marathon. You do not have water everywhere around you but you know upfront where exactly the water points are located. All it takes is to look at this detail and plan your run around it. Instead of running as far as possible without water, just keep sipping water at every aid-station or at an alternate aid-station. And for the record, there is something also known as over-hydration! Excessive water can lead to hyponatremia (the low concentration of sodium in the blood due to drinking too much water). It can lead to nausea, headache, weakness, and other problems. As much as you do not want dehydration, you also want to avoid over-hydration. Drinking an energy drink and water alternatively is also a good strategy to avoid both extremes. If you are taking gels, many of them also contain electrolytes so drinking water regularly along with it should help. I typically carry a small bottle of water in all my training runs. If not, I do my training runs in loops of 3-5km so that I get back to the point where I keep my water bottle. For the very long runs, I keep the plain water as well as electrolyte drinks and alternate between them. For the races I participate in, the first thing I look at is the placement of aid-stations on the route and drinks available in them. I still prefer to carry a small bottle of water for my races not because it gives me the freedom to have water whenever I need it but also to reduce the usage of paper cups or plastic bottles. I would rather refill my bottle than use a disposable cup or bottle. The real place to try all these is on your training ground. Do not think of your training just as a way to increase mileage. Think of it as a way to fine-tune your hydration, nutrition and race day strategy. In fact, that is the place where you can afford to fail and find ways to succeed. So why not try your hydration during the training and make sure your boat sails smoothly on the race day?